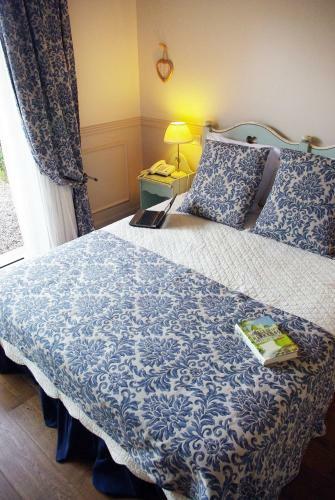 Lovely setting, comfortable rooms, pleasant staff - what more can one want? Dieses reizvolle Hotel begrüßt Sie in Llafranc, einem der schönsten Badeorte an der Costa Brava. Die Zimmer im Hotel Blaumar Llafranch verfügen alle über eine eigene Terrasse oder einen Garten mit Meerblick. Das BlauMar Llafranch befindet sich im Herzen der schönen Region Empordà. Entlang der Küste erwarten verschiedene Strände und interessante Fischerorte gern Ihren Besuch. Die schallisolierten und hell gestalteten Zimmer des Hotels sind voll von Tageslicht. Darüber hinaus erwarten Sie Holzböden und geschmackvolle Möbel. WLAN nutzen Sie kostenfrei in den Zimmern und in den öffentlichen Bereichen, zu denen ein Wohnzimmer gehört, in dem Heißgetränke am offenen Kamin angeboten werden. Ein Frühstück mit Produkten der Region und frischem Obst wird Ihnen morgens auf der Terrasse im Freien angeboten. Gärten und eine Snackbar sind ebenfalls vorhanden. Die öffentlichen Parkplätze an der Unterkunft nutzen Sie kostenfrei. Innerhalb von 20 km erreichen Sie 10 Golfplätze. Das Dalí-Museum in Figueres liegt 60 Fahrminuten und Girona 30 Minuten entfernt. El ambiente familiar. La tranquilidad. El trato. El silencio. La limpieza y la pulcritud. Por decir algo…..me faltaba dureza en el colchón. Tener atención en recambiar los productos utilizados en la cafetera y tetera que había en la habitación (sobres, azúcares, cucharillas, leche…). La excelencia en la atención de los dueños y del personal. La vista inigualable en altura sobre el Mediterráneo. El emplazamiento. El desayuno muy completo y de exquisita calidad. Todo muy bueno. Las habitaciones que dan la impresión de estar recién inauguradas, etc.etc. Es para recomendar y para volver. One of the nicest hotels I've ever stayed in. Gorgeous views. Manque d'équipement dans l'appartement comme, le micro onde . Great location, freindly helpfull staff, comfortable rooms with nice bathrooms and grat balcony views. És un hotel molt romàntic i acollidor, amb un personal molt amable i on es nota que tenen en compte els detalls. L'habitació de casa de nines es molt maca i la piscina desbordant amb vistes al mar és espectacular. Recomano l'hotel a parelles, ja que com he dit és molt romàntic. No està davant del mar (però si que i te vistes) i no fan dinars i sopars. Tenen una petita carta amb 4 coses, però no les suficients per quedar-se a fer un àpat. La limpieza es perfecta, no se puede poner ninguna pega al respecto. La habitación dispone de todo para poder prepararte un te o un café. Lovely small hotel with friendly and very helpful staff . Scents used as room fresheners were a bit overpowering . een geweldig hotel, een unike ligging. Prachtige kamers, heel comfortabel. De bedden zijn prima, het is er schoon, heel erg schoon. Het uitzicht is geweldig. Het interieur is prachtig, overal, in de kamers maar ook ontbijtzaal etc. Het personeel en eigenaren zijn bijzonder vriendelijk. Het ontbijt is zalig. Wij hebben genoten !! We gaan beslist nog een keer terug. La ubicació es excelent i les vistes desde la habitació son genials. El tracte i l'atenció del personal. La decoració i els detalls del hotel, tot molt ben cuidat. La gentillesse du personnel et des propriétaires de l'hôtel qui ont un vrai sens de l'hospitalité. La vue magnifique sur la mer, la tranquillité de l'endroit, un havre de paix. After a long stressful work period this hotel offered everything we needed to chill out for a few days. Location perfect, comfortable and spacious rooms, beautiful Provence style bedroom with balcony giving wonderful view of Llafranc bay, and excellent modern bathroom with roman shower and rain head - all spotlessly clean. Owners and staff incredibly friendly and helpful. Learned a lot of the immediate area from Cristina and the receptionist. 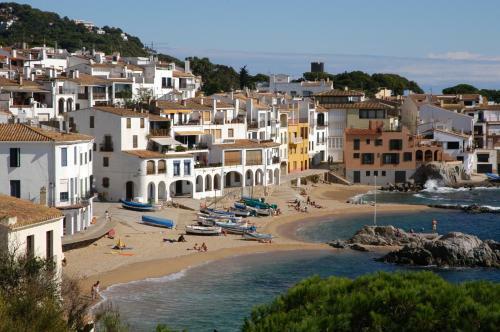 Although a small fishing town, plenty of good restaurants, plus a great walk along a coastal promenade to Calella where we found an excellent family restaurant serving fresh fish and good rosé wine. Would definitely go again, and recommend to anyone. Il serait souhaitable que le petit-déjeuner varie un peu d'un jour à l'autre. Las vistas y la habitación excelentes. El trato en el hotel muy muy bueno. confort, assez bonne insonorisation , beauté des lieux,accueil agréable du personnel, proximité de la mer et des randonnées magnifiques le long de la côte, petits dejeuners très bien. Une très bonne adresse! la spontanéité de l accueil ,la propreté des chambres ,la douceur des peignoirs de bain,la chaleur du soleil au petit dejeuner,la vue époustouflante sur la baie de Llafranc .... au top ! Excelente hotel yo diría que familiar, con piscina infinito y buenas vistas, bien atendidos, precio 119€ en temporada alta 250€ por ese precio cambiaria mucho mi valoración. Comfortable and spacious rooms. Staff couldn't have been more helpful. Amazing views. Would definitely go again. Al ser temporada baja, hemos disfrutado de una tranquilidad absoluta. Es un hotel cuidado al máximo. Demasiado alejado de la playa. Sea view from the room. Friendly staff. Nice breakfast buffet. Hotel is on a hill rather far from the sea. View is good but it's a climb to get back from town. Given that it's not on the beach, it seems rather pricey. Ubicación. Silencio. Los huéspedes hablan en voz baja. Posibilidad de restauración rápida , y sencilla. Podria climatizar la piscina. Podria aumentar su oferta gastronómica, aunque la que hay ya es muy buena. Hotel muy tranquilo, bien decorado, cálido y acogedor, en entorno agradable y servicios de calidad. Fácil acceso, parking propio en la finca. Es el primer hotel en el que me he sentido como en casa. El trato del personal es excepcional, la ubicación es ideal y el cuidado de todos y cada uno de los detalles es único y singular. He estado en muchos hoteles, pero ninguno como Blaumar. Un hotel 10! Merveilleux séjour au Blau Mar de LLafranc ; outre le village adorable, calme et reposant, l'hotel est un havre de paix par son confort et sa situation. En hauteur, toutes les chambres bénéficient d'une très belle vue sur la mer et le village-crique pas bétonné et préservé de LLafranc.la propriétaire est francophone et, adorable, sait accueillir et renseigner ses claients.La région permet de belles promenades en bord de mer ( chemine de ronde des deux côtés du village, petits village cotiers...) ou dans les terres avec de beaux paysages et de pittoresques villages médiévaux. Il y a de bons restaurants à LLafranc ou dans les environs particulièrement Chez Thomas ou le Casamar à LLafranc même. Nous conseillons donc cet hotel 4 étoiles certes mais qui le vaut bien! La familia que regenta el hotel, son molt amables i et colmen d´atencións. Hotel molt tranquil i extraordinaria decoració. We enjoyed the beautiful room, the peaceful relaxing atmosphere, the breakfasts were excellent, the staff friendly and helpful. me ha encantado la ubicación, tiene unas vistas espectaculares. Las habitaciones y el hotel están decorados con muy buen gusto. We loved the hotel and it's very helpful, friendly staff!! The hotel was spotlessly clean (a fetish of mine!) and sits on a hillside with an incredible view of the sea. Although we didn't use the pool, it was very inviting with an infinity edge and that same wonderful sea view. We were there at a very quite time and thus had a most relaxing stay. The walk down to the seaside from the hotel was easy and we did it often. Many shops along the teeny embarcadero were closed given the time of year, but the weather was lovely and the walking trail along the shoreline gorgeous. Using Llfranch as a hub, we visited the near by lighthouse, the medevil towns of Pals and Peratallada, and with the 'above and beyond' help of Joseph at the front desk, we enjoyed a great day trip to Barcelona on the train! If I had one request it would be a little more full service restaurant on site. They are very accommodating for an afternoon snack, but are not set up to offer dinner. Having said that, the all inclusive breakfast each morning was wonderful!! Le calme ,le charme du mobilier et de la décoration, le lit excellent confort , le buffet du matin copieux et varié servi sur la terrasse. Le personnel efficace et discret est attentif aux besoins des clients . Le jardin et la piscine avec une vue splendide sur la mer . Marta, who was always very helpful and thoughtful. Lovely view from balcony. Great bed. Minibar. Room safe. Quiet with no room above. Steep hill from the village but hotel can not be blamed! Lack of evening meal. Breakfast a little limited but for a small hotel the selection was very good. No shade by the pool. No dinner available. This is our second stay at the Blau Mar and probably won't be the last. Staff are great. Excellent gin & tonics and walk up the hill helps counteract effect of all the great restaurants around! Spacious and airy rooms with great views over Llafranc bay. Slow wifi so you need a local SIM for effective internet access. 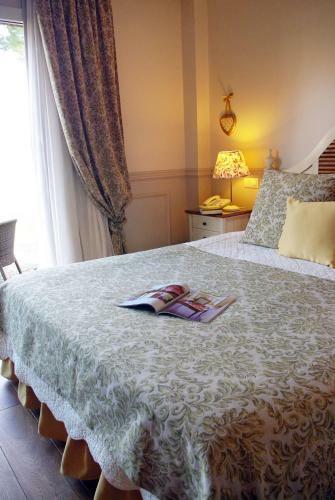 Beautiful room and balcony with wonderful sweeping view over gardens and pool to the sea. Very quiet location yet very accessible to the beach, even if a bit of a climb on return trip. Very pleasant and helpful staff. The hotel is in a fantastic location with amazing views. The pool area is great. We really enjoyed our stay. Room was very nicely decorated Lovely pool area and views from pool were beautiful. Staff were excellent. Room was a little small .Breakfast was lacking choice. (no variety in the selection of fruit or hot breakfast) for the cost of the stay. Large comfortable bed. Excellent clean & modern bathroom with both a rain shower &hand held shower head. Good quality fresh breakfast buffet. Lovely friendly staff. 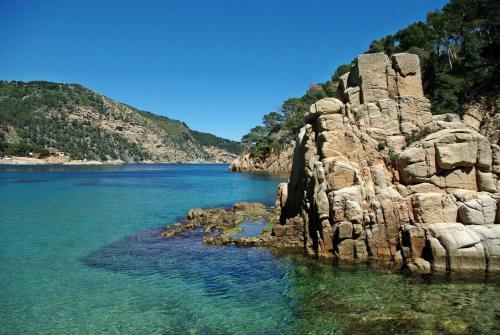 Beautiful views of llafranc bay. Nothing apart from steep walk back uphill to hotel but realise that we wouldn't have had such good views if we didn't have the climb! Beautiful location. Small elegant hotel. Relaxing. Lovely buffet breakfasts. Chic decor. Relaxed but attentive attitude of staff. Didn't feel at all stuffy. Lovely views and nice pool. Free Wifi. There was little to no shade available poolside which was much needed in the middle-of-July heat. Pool got busy with kids playing in it quite easily. No ipod docking station in rooms. Loved the room, view, location, wonderful staff, breakfast, willing to help us plan day trips, had maps and everything we needed ,drinks in the bar!! We loved it!!!! Very enjoyable holiday, view's magnificent from the rooms and gardens, I would recommend this hotel to any one. The hotel is exceptionally well placed in a very quiet area just 10 mins walk from the beach. The pool area is fabulous and the views are spectacular. The staff were very attentive, friendly and courteous - it's family run so they all care. Would recommend this hotel to anyone who wants charm, comfort, style and oh the views! We loved the relaxed atmospher, the view, the small friendly villa style, the garden & pool area. The climb back uphill from the small village of Llafranc, took only a short while but if your unfit beware. Fantastic owners, very friendly and informative about the area. The place feels welcoming. The view in the back yard is outstanding. The setting. The staff. The service. The food, particularly breakfast. The view. The room. the pool. The grounds. The peace. Downstairs room had very limited sea view due to hedge being far too high. We loved the wonderful friendly staff and the hotel's gorgeous location with the stunning view over the town and sea. Llafranc is a gem on the Costa Brva. The very steep hill to the hotel but it does keep you fit! Friendly, helpful staff. Spectacular views. Fabulous breakfast. The style and position of the hotel, the room and view, the friendly staff. The breakfast choices are limited and could get boring after a few days. Everything - great accommodation, very friendly and helpful and attentive staff. Superb location with magnificent views. Could not fault it. Friendliness of the staff who could not do enough to make the holiday a success. Location was superb with great views across the bay. Very peaceful and relaxing. Rooms were very clean with comfy bed. Free WiFi. No restaurant in the hotel for evening meals although they did offer salads and similar. The uphill stroll back from the beach after a bottle of wine and a heavy lunch. The constant muzak - I am not a fan of non- stop Richard Clayderman.They could change the music occasionally or leave it off. Everything, the hotel was fantastic, the staff were brilliant and very helpful and could not do enough for us. They made the whole experience even better. The views from the hotel rooms, gardens etc were simply stunning, and if anything the pictures on the website don't do it justice, its actually even nicer than the pictures portray. The fact we had to come home, we could of stayed there another 2 weeks. High standard of maintenance, comfortable, good views, friendly helpful staff, excellent breakfast. Wifi only in public room. No Kleenex tissues. hard to find, really !. Llafranc. Facilities. Rooms. View. Staff and owners were all terrific.